Have you noticed the red flags but decided not to say anything? What do you do when you catch someone red handed and the red flag of deception or manipulation rears its ugly head? Do you honor your boundaries and speak up or instead choose to dismiss it thinking you must be wrong. It’s important to keep your red flag radar turned on so that you don’t get sucked into an a bad situation. Hey, welcome back to love and abuse. 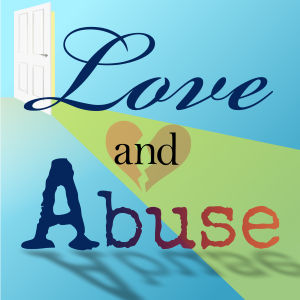 If you have not heard the first episode that describes exactly what we’re talking about over here at the love and abuse podcast, it’s all about emotional abuse, manipulation deceptive language, deceptive words, anything that someone does to unethically or immorally influencing you using their language and / or their behavior. I’m here to help educate you so that you don’t get sucked into some trap. A relationship trap that could lock you into a relationship that turns bad. But it has not been told enough in this world how much emotional abuse leaves scars. I don’t mean physical scars, I just mean when you are dealing with someone who is doing any type of manipulation or emotional abuse, or trying to con you in some way, it leaves emotional scars. In other words, you have feelings about it. And if you’re in a romantic relationship with someone like that, those feelings are a continuous thing. You get stuck in a long, drawn out process that continues to expose to the abusive behavior day after day. The problem with emotional abuse is that it’s very hard to pinpoint without the context of the long haul. That’s the trouble with emotionally abusive relationships is that we could get into a situation that no one else recognizes is abusive. This show is all about helping you recognize what emotional abuse, verbal abuse, manipulation, coercion, and bad behavior is in general, so that you are prepared – so that you are armed with knowledge – so that when you go out to the world, or when you experience your family, at the next get together, or the family you live with now, that you understand a lot more about yourself than you did before. This helps you from getting sucked into that cycle, so you don’t get trapped. And it’s not a continuous degradation, depreciation, diminishing, dissolving… pick a D word! Where all of these things that happened to you, that happened to your soul, that happened to your spirit. This isn’t the same thing when you’re dealing with a salesperson and they’re trying to con you. Not all sales people do this, and most of them don’t, but there are some salespeople out there that are just so driven to make the sale that they’ll say anything to get you to buy. Again, I’m not making fun of sales people. I’ve been there, it’s a noble profession, absolutely, but there are some people that are so driven by money and so driven by that profit, that they will do anything to get you to buy. So, they will just tell you things that are plain wrong just so you’ll sign the document – just so you’ll hand over the money. where I walked into a music store, and the salesperson that I’ve always dealt with (nice guy, you know, I think), I walked up to the counter and I was purchasing something and he throws in some extended warranty. And he fast talked me into thinking that all this is part of the normal pricing “You get the two-year warranty, thirty-seven dollars…”, and he just kept talking and talking. And I was like, “Wait, wait, wait, wait, stop for a second. What is this extra money on my bill here? He just stopped and went, “Oh, ah, I’m sorry.” And he really didn’t know how to respond. It wasn’t like I caught him in a fluke, or he misunderstood something I said, this was a build up over time. I had been there several times to purchase things and I noticed how he tried to throw things in there. Like he always tries to sell me the highest price product, even if I didn’t need it. And this particular sale just felt coercive. It felt like he was influencing me in an unethical way. And when that kind of builds up inside of you and you have these feelings of doubt, your instincts are kicking in, and the hair on the back of your neck might be raising like ‘something’s going on here, but I just can’t prove it. I just can’t figure it out’ and then you finally catch someone red-handed and everything you thought is substantiated. But then you have to face the moment where you either address it or you don’t. And in a lot of relationships (and this is the difference I’m talking about) we get to that moment when we finally catch someone red-handed, and we can choose to say something or not. But it turned out that my suspicions were right. So, I did have my gauge on, my radar on when I worked with him. So, I was still cordial and civil with him. But I had my radar on and I think that’s important when you detect any red flag. Keep your radar on. Keep your observation skills tuned. Because you need to know if something else happens that is the compound effect of what continues to happen if you don’t nip it in the Bud. If you don’t address it right away, it’s so important to address the red flags right away. And someone who’s very skilled at manipulating you will explain away in rationalize the red flags. And you still have to be very careful. Because more likely than not, the red flag is real, and it will happen again. It’s OK to dive in and trust yourself and say something. And be aware that this is something that maybe you don’t want in your life. And that’s very helpful for you to keep in mind in any situation, and in any conversation. My point with this episode is to help you stay aware of the red flags and be aware that when a red flag comes up to turn on your red flag radar and make sure that you stay observant and become highly attuned to what is going on. So that if it happens again, and you can substantiate the first red flag, then you know it’s time to say something. I like to say something on the first red flag. I didn’t do so at the salesperson because it was just 2 cleverly disguised so I couldn’t really tell. That’s what happens to us is that we can’t really tell sometimes, but always trust your instincts. Because even if you’re wrong, at least when you do mention something and say “Hey, look, when you said that, it didn’t feel right” (or whatever words you use). You just want to either address it or file it away so that you can bring it up just in case it does ever happen again. Then you can say something about it. Don’t let too many red flags pass by because then you’re going to turn into a client I had once that ignored so many red flags for years and years and just kept on dismissing them, that she felt completely powerless and stuck in a relationship that drained her every day. Every time you dismiss a red flag you dismiss yourself. Don’t dismiss yourself, because you’re going to get into a situation That’s going to make you unhappy as the red flags will continue to show up and everything that you’re experiencing is another chink in your emotional armor. It’s another way of disintegrating who you are. And pretty soon you end up in a relationship that takes years from which to recover and you still might be in the relationship ongoing. You won’t be able to figure out how to get out because you lose all the confidence that you have in yourself, and you lose the ability to be able to make good decisions because you can’t trust your own decisions anymore. We’ll talk more about that in future episodes (being in deep and not knowing how to get out). We’re also going to talk a lot about terminology in this show because I need you to know terms like bread crumbing and silent treatment (which I’m sure you’re familiar with), also terms like triangulation, isolation, minimizing, and intimidation. When those behaviors appear in the context of manipulation, emotional abuse, coercion, or just bad behavior in general, when you’re involved with somebody doing that to you, sometimes we just can’t see outside ourselves to see what’s happening inside the relationship. That’s why it’s vital that you know these terms and understand the concepts behind them So that you can tell what’s happening in the relationships in your life. I told my girlfriend I was just talking to our “friend”, the sales person. I said, “He just tried to screw me over.” Though, I forget if I used those exact words or not. I might have been more upset using a bit stronger language. But I told her that guy tried to scam me, so I probably won’t be returning to the store. I think we went back to the store one more time after that but since then we have not returned. The last time we were there we saw him again and there was an awkward tension. This is why some people don’t want to mention anything when they See a red flag. They don’t want to create awkward tension. They don’t want to create uncomfortable communication between each other, so they don’t and simply pretend it didn’t happen. I hope that as you listen to this show more and more that you get more comfortable in creating those uncomfortable situations. Not that I want you to become uncomfortable with everything you mentioned to everyone every time they do something but because you become more confident in yourself when you do. And you understand your boundaries. You learn what you will accept and won’t accept. And you understand your values and what’s important to you. For example, what’s important to me is that people are honest with me and respect me. I determined that what he did was a sign of disrespect toward me and I made it clear to him that’s what it was. And maybe from that point on he changed his behavior, or maybe not. Maybe it’s the way they teach their sales people. Maybe it’s not him at all it was just passed down through training. But I wanted to make sure that he knew that I did not accept that behavior and I want you to be there too. I want you to be in a space where you let people know that you won’t accept certain behaviors. Watch for those red flags. Assess the level of emotional abuse or manipulation in your relationship with The M.E.A.N. Workbook.